Marisa Molin: STUDIO SALE - success! The sale was a success! Everyone involved benefited by the mass crowds that gathered at the Powerhouse on wednesday. Thankyou to everyone who helped out and was involved - especially Tim Walker from the powerhouse gallery and Louise thrush for assisting with me on the night. Artists included: Marisa Molin, Fernando DoCampo, Joleen Jenkin, Tim Chatwin, Lucy Cameron,Sonja Brough, Mairi Ward, and Evan Thien. 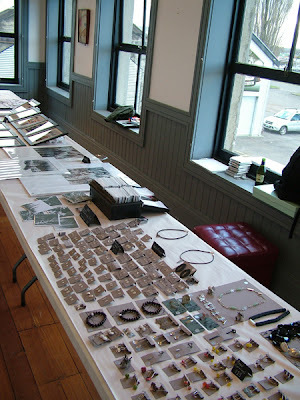 STUDIO SALE - everything must go!